This article will provide you with answers to questions such as: What are pivot points? How can you use support and resistance levels within a pivot point Indicator? What types of pivot points are there? How do you use pivot points? And how can pivot points be used in MetaTrader? Pivot points assist traders with determining price movements in financial markets. Put simply, a pivot point is a price level that is used by professional traders to assess whether prices are bullish or bearish. Pivot points represent the averages for the highs, the lows, and the closing prices that occur within a trading session or a trading day. Pivot Points are a type of indicator used for technical analysis, which provides the basis for determining market trends. Underpinning nearly all forms of technical analysis are the core concepts of support and resistance. These can be thought of as levels which are expected to be key battlegrounds in the battle between bears and bulls. As the market approaches them, some traders expect the price to rebound. Others might anticipate the chance of a breakout. Consequently, they are important prices because they signpost the chance of significant movement. Therefore, identifying where these levels lie is a very useful skill to develop. Given the importance of support and resistance points, there follows a natural question: How do we calculate where to find these crucial price levels? There are a large number of methods that attempt to satisfy this query. One popular technique used; is looking at pivot points. Pivot point trading takes standard price information, such as highs, lows and closes, and uses this information to project possible support and resistance levels. 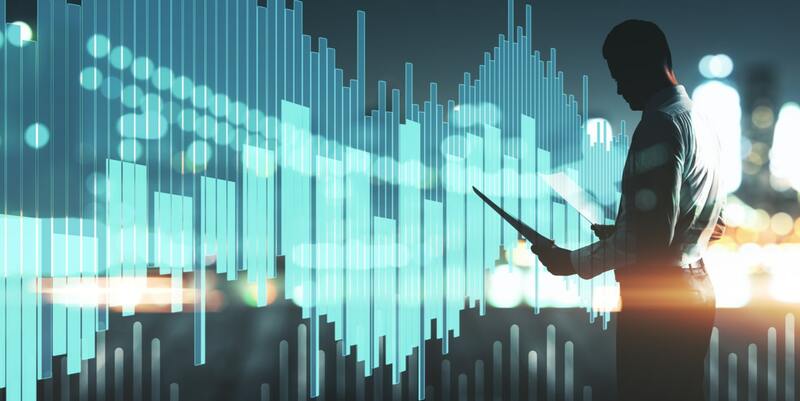 Here's what you need to know about different types of pivot points before you start using the indicator: There are many different types of pivot analysis that exist. We will now explore the calculation methods behind a few of these types: namely; Standard Pivot Points, Fibonacci Pivot Points and DeMark Pivot Points. The starting calculation for this pivot point formula is the arithmetic mean of the high (H), the low (L) and the close (C) from the previous period. We call this our base pivot point, P.
We proceed from the same starting point as used for standard pivot points, which requires calculating P, the base pivot point. Support and resistance levels are plotted a certain distance away from this point P. Let's once again call D - the difference between the high and low. Support levels are calculated by subtracting multiples of D from P. Resistance levels are calculated by adding multiples of D to P. The multiples are taken from the Fibonacci sequence of numbers. For DeMark pivot points, we use a different base pivot point definition. In fact, there are three different ways to calculate the base pivot point with this method. Which calculation you should use depends on how the close and the open compare. For these pivots, we define a variable x, the value of which depends on whether the open is higher or lower than the close. This final value will be the one more commonly used if you are looking at a Forex pivot point trading strategy. This is because with FX being a 24-hour market, the open is nearly always equal to the close. If you're looking at a daily chart during the week, the close and open are really just conventions. This is in contrast to the stock market, where the open and close are very distinct things, separated by time and usually by price. The support and resistance levels are also calculated from x (DeMark pivot points do not use more than one support and resistance level). So we've defined how to calculate different types of pivot points and accompanying support and resistance levels. But how do we now use these in our day-to-day trading? Firstly, we can use our base pivot point as a way to gauge general direction. If the prevailing market price is above the base pivot point, it suggests bullishness. If the market is below the base pivot, it suggests a bearish tenor. Secondly, we can use our support and resistance levels to inform our trading. Typical pivot point trading rules would require us to take a long position when the indicator suggests a bullish market, or to go short in bearish conditions. You would aim to close long positions when the market reaches resistance levels, or close short positions when the market drops to support levels. Alternatively, you could use the support and resistance levels as indicators of when to open positions. You would go short when the market reaches resistance, or go long when it drops down to support. Naturally, you're not going to want to perform the calculations involved manually. For convenience's sake, you'll likely be wanting your trading software to do the calculations for you. 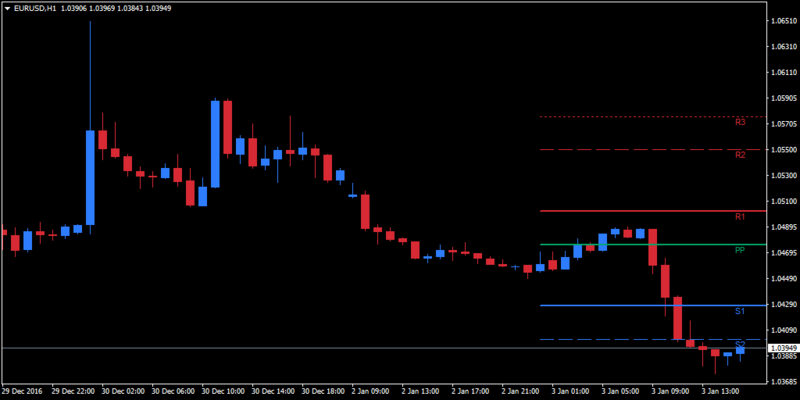 So with that in mind, let's talk about how to use a pivot point indicator in MetaTrader 4 (MT4). MetaTrader 4 is a widely-used FX platform, and one of the reasons for its success is its expandability. 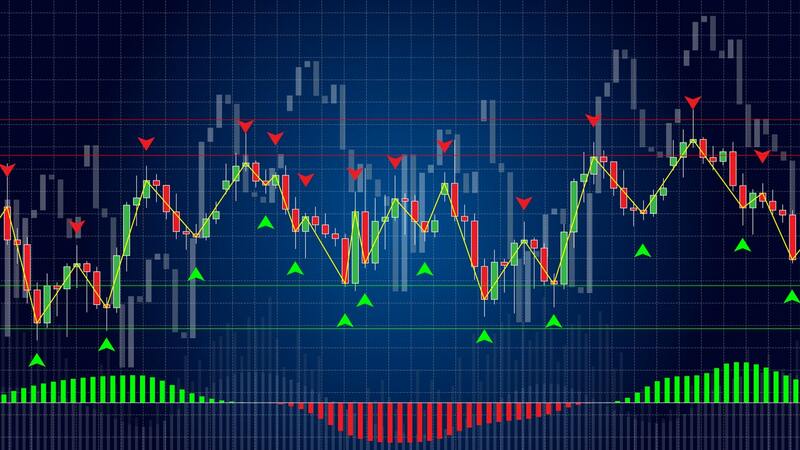 Users familiar with its MQL4 language can quite readily create new indicators or trading algorithms. For those who aren't at that level of coding, there is a vast library of indicators available to download, the majority of which have been created by the wide user base. The drawback, of course, is that these can be of a varying quality. Ideally you'll want to use indicators that have been put together by professionals. Now, MT4 does come with a limited selection of indicators that meet this quality. Unfortunately, a pivot point indicator is not of these tools that comes bundled as standard. 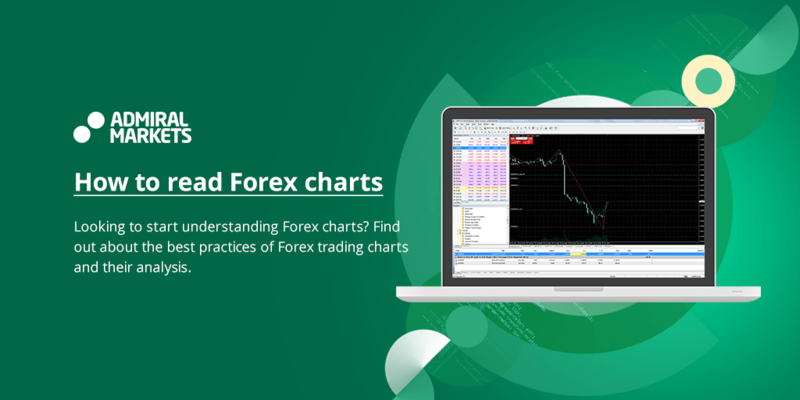 This means that you are going to have to download a pivot point indicator in MetaTrader 4, if you want to use this method of analysis. If you're interested in using tools that come from a trusted source, the best MT4 pivot point indicator for you will likely be the one available in the MetaTrader 4 Supreme Edition plugin. MT4SE is a free plugin for MetaTrader that was carefully crafted by professional coders. One advantage it has is the fact that traders receive a bundle of new tools all at once from the same reliable source. When you download MT4SE, you get a whole package of extra tools and indicators, rather than having to download each piece, one-by-one. 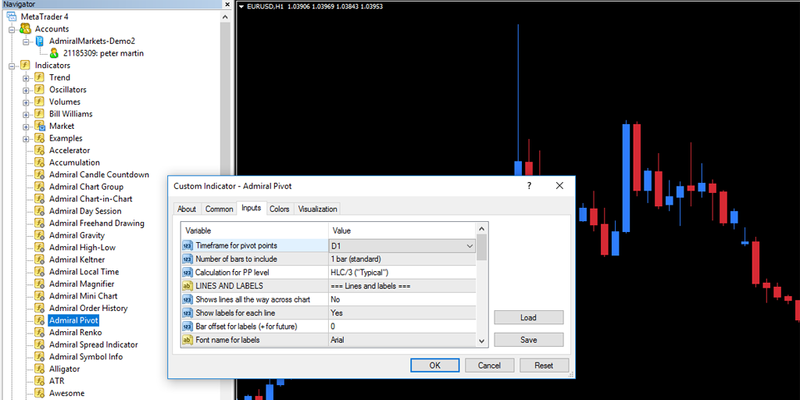 Double-clicking on 'Admiral Pivot' launches a window from which you can alter many input values, as well as aspects of how MT4 displays the indicator. If you are happy with the default values, select 'OK'. As you can see from the screenshot above, the default value for the timeframe for the pivot points is set as 'D1'. In other words, the highs, the lows, and the close values are all taken from the previous day, which is the convention for pivot points. You can configure this to a different value if you prefer, but please note that pivot points are generally intended for short-term analysis: a common usage is as a pivot point day trading strategy or for even shorter time-frames. Source: MetaTrader 4 Supreme Edition - EUR/USD Hourly Chart - Data Range: December 29, 2016 - January 3, 2017 - Please Note: Past performance does not indicate future results, nor is it a reliable indicator of future performance. The chart above displays pivot lines plotted on an hourly EUR/USD chart. The resistance lines are marked in red, and the support lines are marked in blue, but these attributes are completely customisable in MT4SE. The base pivot point is labelled PP. This is calculated in the standard way described above—as the average of highs, lows and closes—but you can also configure this to a variety of methods. We hope that this has been a useful introduction to pivot point trading. How well the method suits your trading style is solely for you to determine. 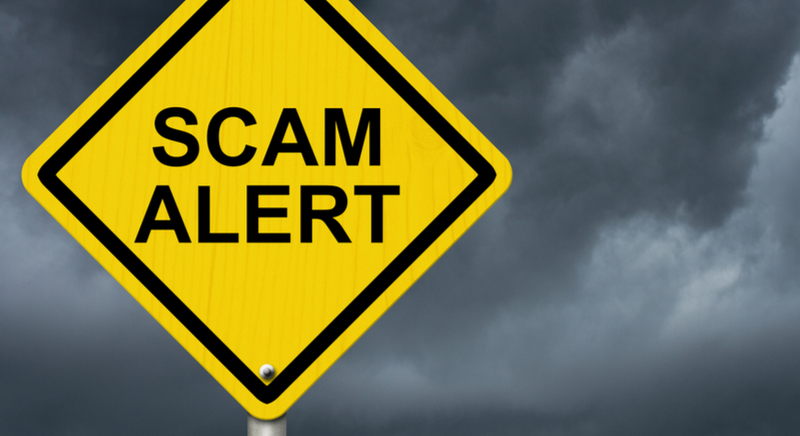 It's always a good idea to find out what works or not via a demo trading account. 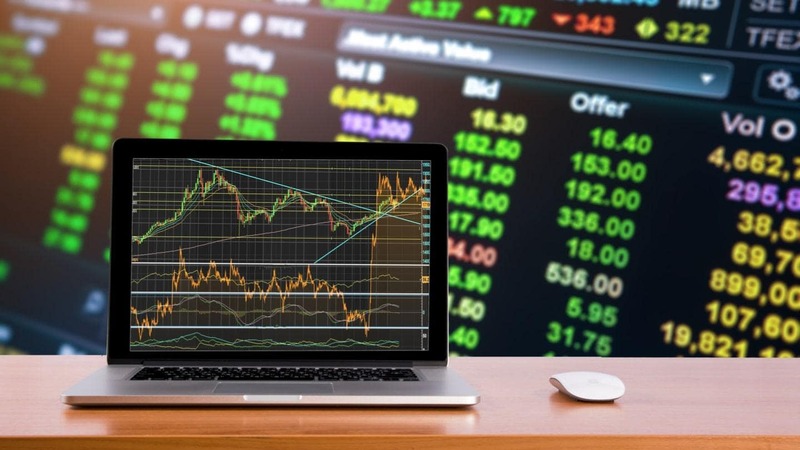 Demo accounts allow traders to test their strategies within a risk-free trading environment, by trading with virtual funds, so their capital is not at risk. Demo trading allows you to build up confidence in a strategy before you start to invest real money in a live account. Bear in mind that the pivot point indicator is not a complete trading system in itself. The pivot point trading rules described above are effectively price setups — a loose guide to price points that may be beneficial to trade. 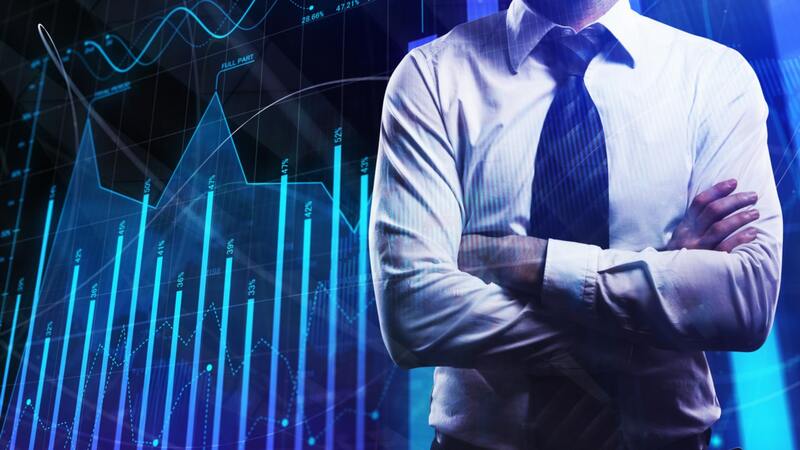 A successful pivot point trading strategy will need to incorporate other skills like money management, exit strategies, judicious choice of market, etc. Furthermore, when you download the pivot point indicator for MetaTrader 4 Supreme Edition, it comes with a whole range of additional tools and indicators, as mentioned earlier. You can use these tools to back-up or confirm your findings with the pivot point indicator. If two or three indicators are all telling the same story, it makes a more compelling case for placing a trade.